Big business is increasingly turning to small businesses for innovative solutions and means of differentiation. There is plenty of material available on this topic, like the article below. And it’s inspiring to see how both big and small businesses can and are finding ways to collaborate, to thrive and in so doing, to create dynamic, vibrant marketplaces that keep consumers happy. But there are others who may lurk in the shadows and who would appear to see small businesses in a different light: one that comes with a money sign hanging over it, with little regard for what’s affordable, sensible or justified for those businesses. This is a theme I’ve been interested in for a little while. It’s something that when we look at our own pricing strategy, I am always acutely conscious of. I’ll admit that it influences the decisions that we make and I think it’s right that it should. Because greed is not a legitimate value, for anyone. There’s a reason why one of the values that our staff collaborated to create last Spring is ‘grow together’. It includes a commitment that we will respect and support our LHS community, those within it and those who touch upon it; and it means that we will be fair about what we do so that we all benefit and grow together. For me, this theme was thrown into sharp relief recently during a discussion about blogging and the opportunities that come with publishing good content. Our conversation partner was a rather brilliant startup business. The manager of that business shared with us a recent experience of being approached by a very large organisation with the opportunity to publish content for that organisation. The opportunity was dressed up like a present – for which no doubt the expectation was that the startup business would be flattered and eager to accommodate. In their own way, they certainly were. But there are a few facts here that need pointing out. First of all, we think this startup is pretty special and they are doing quite well at showcasing themselves already. Amongst the many talents of the very small team working within it, is the regular publication of really good content. They publish this out to the world at large, for free. Like many other startups and small businesses, this is a labour of love but they do it, relying on the content to deliver increasing brand awareness and to develop a loyal reader following. There’s no doubt that this tactic is working for them. Next, the ‘gift’ of publishing several pieces of content on this organisation’s platform appeared to work as much for the large organisation as our friend, arguably more so; the large organisation strives to retain the attention of a loyal paying member base and looks to specialists and experts, like our friend, to gain more traction with those paying members and to keep them ‘sticky’. These members are charged not insubstantial subscription fees for the benefits offered by this organisation. And here’s where I started to feel quite strongly that greed and not reason was being allowed to drive this entire offer process, The organisation wanted to charge our startup friends a genuinely breathtaking sum of money, for contributing their own content to this organisation’s platform. It wasn’t advertising content. It wasn’t promotional content. It was great, discursive, journalistic material. Proper editorial reportage. And it was something the organisation doesn’t and probably couldn’t do for themselves with the same degree of credibility and expertise. To me, this scenario bucks the whole spirit of collaboration and partnership. And it is wrong. It’s where big business and big organisations have got it wrong. OK, so I know the economic theories of bargaining power and the decades I’ve been in the business world have been long enough for me to have learned that this happens time and again when you negotiate. I’ve experienced it enough times myself. I’m not naïve. But I am indignant about what is happening here. What’s wrong with growing together and recognising a fair trade of what both the organisation offers and stands to benefit from, with what our startup friends offer and stand to benefit from? The somewhat sad ending to this story is that our startup friends could not afford to pay this fee and they walked away from the opportunity. And everyone lost something at that point. I’m very confident that in the end, it won’t knock our friends back. But at the time, this must have felt like a rather bitter pill. The final sting being that this is an organisation that prides itself on its relationships with small businesses. I am quite sure that Mother Teresa would have agreed with the statement that there is no place for greed in true collaboration. Ultimately, greed fails even the greedy – even if it might take a while to come around. An increasing number of big companies are hiring small businesses to help them develop innovative products, processes, and procedures. If your company is an innovator, you may be able to team up with larger firms to grow your business much more rapidly. 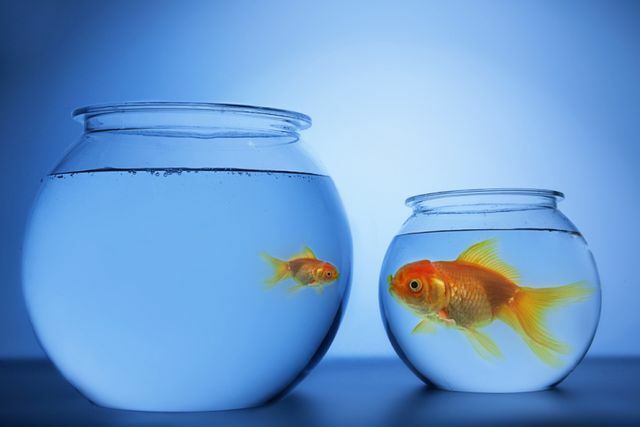 Many small businesses see themselves mainly as competitors with larger companies in their particular industries. But that is not always the case. Many larger companies, recognizing their sluggishness in developing new products or services, are actually looking to smaller companies—often their own competitors—for a hand in speeding up the innovation process. Everyone you meet has something to teach. #Entrepreneurs, are you learning from them?